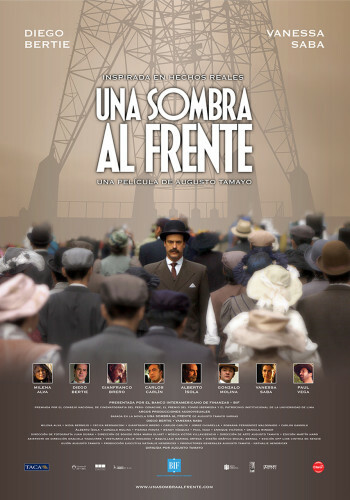 Una Sombra al Frente (A Shadow to the Front) is a film from Peru directed by Augusto Tamayo San Román. This movie is inspired by real events. Set in the early 20th century, it tells the story of Enrique Aet, a young Peruvian engineer who seeks to connect the Amazon rainforest with the rest of Peru. First, Aet is involved in the construction of roads and bridges over the rivers of the Amazon. With the fall of a bridge he has an accident and must return to Lima. There he will meet Doris, a young bourgeois with whom he will initiate a loving relationship. Then he embarks to Europe and becomes a telegraph connoisseur. When he returns to Peru, he struggles to bring to his country the progress that he learned of in the Old Continent.